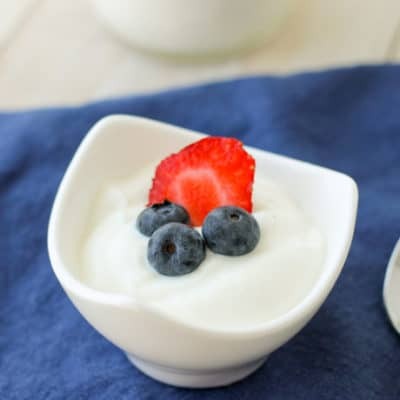 You won’t ever need to buy yogurt again after trying this Crockpot Express Yogurt! You control the consistency, the sweetness and fat content. Best of all-no thermometer or stirring required! I have a love/hate relationship with yogurt. It’s a good source of protein in the morning but often full of sugar. Kids’ yogurt is the worst. I wouldn’t categorize myself as health conscious normally, but if I can easily make something at home that’s cheaper, better for you and still tastes great-I’m going to do that. Crockpot Express Yogurt is the answer to that problem! I’ve never made homemade yogurt before. Honestly, it never occurred to me that it was even possible. The whole “culturing” thing freaked me out a little bit. But with the Crockpot Express it’s just so easy! I don’t have a good reason not do do it. I’m adding this to my collection of Crockpot Express Recipes for sure. 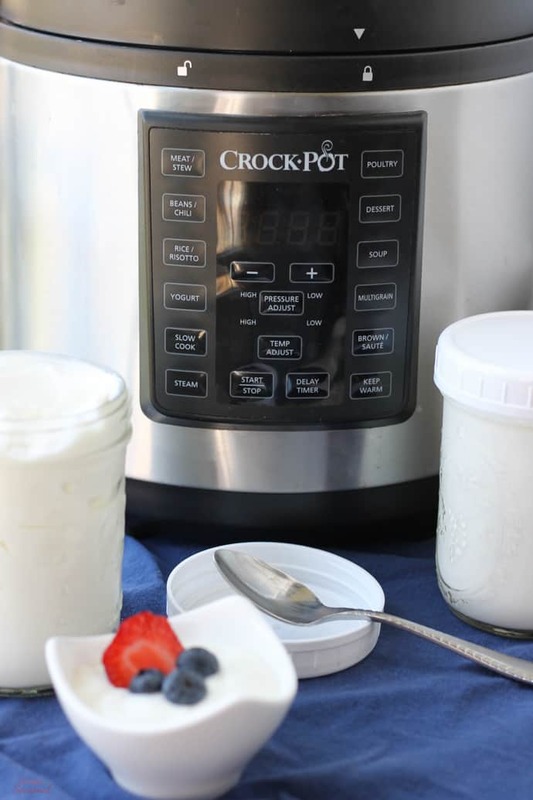 The Crockpot Express Multi-Cooker <—(click there to shop for one on Amazon) has a Yogurt setting. It’s not slow cooking or pressure cooking. It’s a low controlled temperature that allows the milk to cook and ferment for several hours. It’s like magic: milk goes in and yogurt comes out! What is the Boil Start Method? There are two methods for making yogurt in the Crockpot Express. The first is often called the “boil start” method. The Boil Start is great because you can use any kind of milk. However it does require a few extra steps. You bring the milk to a boil using the Brown/Saute function, then cool it to 95-105 degrees. After that, you add your starter and then let the Yogurt cycle begin. The method that is described in the recipe booklet that comes with the CPE is similar, however, it doesn’t bring the milk all the way to a boil. Instead, you press Yogurt, set the temperature to high and whisk frequently as it warms up to 180 degrees. After that you cool the pot by placing it in cool water to bring it down to 95-105 degrees. From there, the recipe is the same as before: add the starter, start the Yogurt cycle. What is the Cold Start Method? 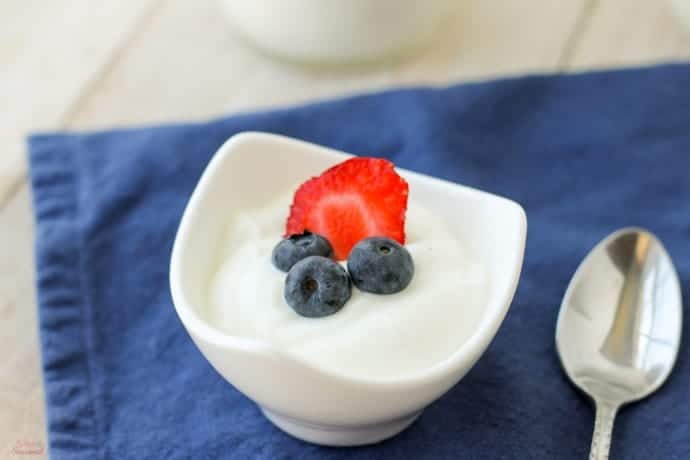 The second method for making yogurt is called the Cold Start Method. The Cold Start Method is what I use, simply because it’s faster and easier. It does require a special kind of milk, though. If you aren’t going to cook the milk first, you have to use Ultra-pasteurized (or ultra-filtered) milk. The most commonly found brand is Fairlife Milk, but there are others. Just check the label to be sure. For Cold Start yogurt, you simply add the milk to the pot, stir in your starter and then hit the Yogurt button. Done! How long should you cook Crockpot Express Yogurt? The longer you cook, the more tart and tangy the yogurt will be. The minimum time is 8 hours of incubation. I like mine at 9 hours. You can set the timer for 12 hours and then open and taste it after 8 hours to see if you want to continue or not. Once you find the flavor you prefer, you can just use that as your setting every time. If you are lactose intolerant, you can still enjoy yogurt! 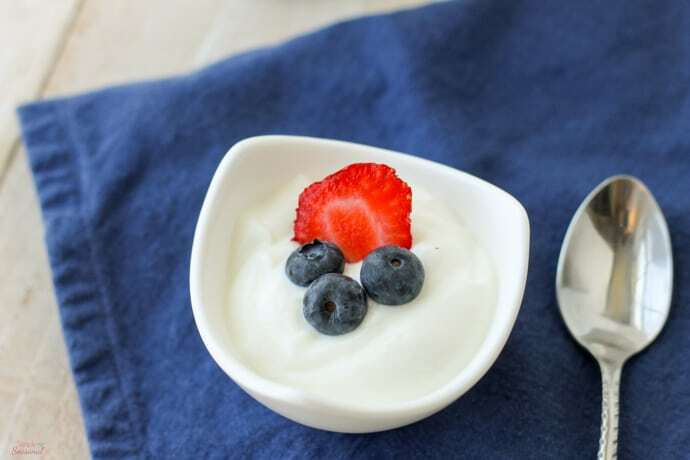 Most yogurt is actually OK for people who are sensitive to lactose. The live cultures help to break down the lactose. But if you’re still concerned, make the yogurt belly-friendly by allowing it to incubate (culture) for a full 24 hours. That means you’ll have to restart the cycle after it ends and set it for another 12 hours. 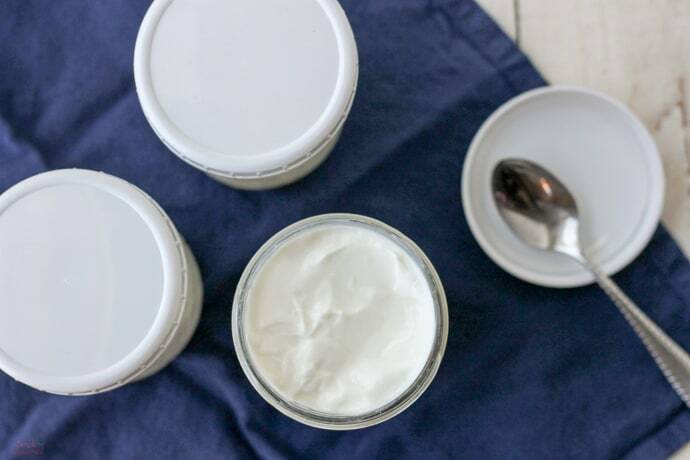 To make yogurt, you need active live cultures. But don’t worry, you don’t need to go order some fancy powder from an online store. Any old yogurt cup will do, as long as it’s labeled as having active live cultures. I chose a plain, full fat Greek yogurt to make my first batch of Crockpot Express Yogurt. After that, I just saved a couple scoops from each batch as starter for my next one! The other option would be to use a few capsules of probiotic powder. That’s really only necessary if you’re trying to make dairy-free yogurt, though. I’m currently testing a few ways to make dairy-free yogurt so stay tuned! How do you flavor Crockpot Express Yogurt? This recipe is for basic, plain yogurt. What you choose to do with it after that is totally up to you! You can add a little vanilla extract to the milk before cooking or use sweetened condensed milk, but any other flavoring should be added after it’s done. I like to sweeten mine with a little honey or real maple syrup and enjoy it with fresh fruit. My kids will even eat it this way! I store my yogurt in pint sized canning jars with plastic storage lids. They are awesome for food storage! I like that the jars are clear so I can easily see how much I have left and when it’s time to start another batch of Crockpot Express Yogurt. 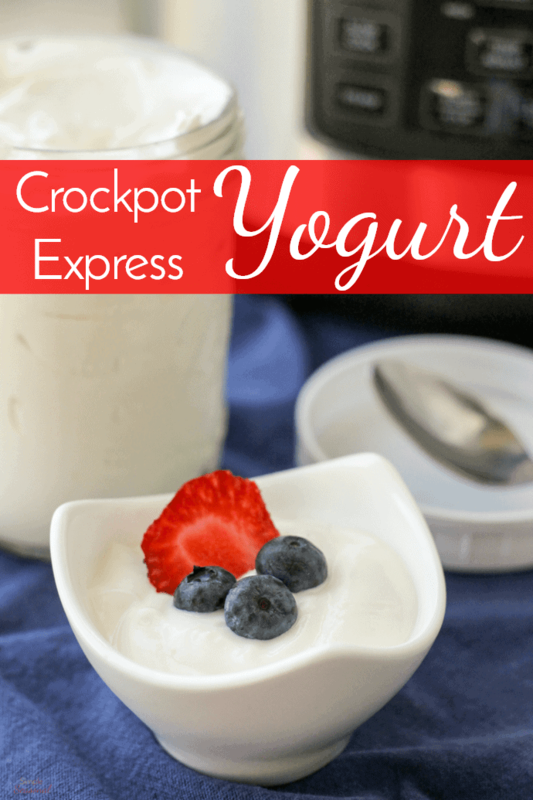 You won't ever need to buy yogurt again after trying this Crockpot Express Yogurt! You control the consistency, the sweetness and fat content. Best of all-no thermometer or stirring required! Using a silicone whisk, stir together the yogurt and milk until smooth. Close and lock the lid, leaving the steam release valve OPEN. Press YOGURT and leave it on low temperature. Set time for anything between 8-12 hours. The longer you cook the more tart the flavor will be. I like mine to cook for 9 hours. Once the yogurt has reached the desired taste (or the cooking cycle has ended) press START/STOP. Remove the inner pot, cover with foil and place in the refrigerator for at least 4 hours. Yogurt will thicken slightly as it cools. If you want thicker, Greek-style yogurt, simply strain it through some cheesecloth until the desired consistency is reached. The yogurt came out terrific! It was too sweet for me. Can I leave out the condensed milk and add sweetener substitute after it is refrigerated? The taste and thickness was perfect, just too swwet for me. Certainly. It won’t be as thick, though. Another option is let it incubate for a few more hours. The longer it goes, the more tart it is, as the cultures feed on the sugars. Would the canning jars and plastic lids be ok to store homemade broth in to refrigerate for a couple of days before using? And thank you for all your recipes and tips! Hi! 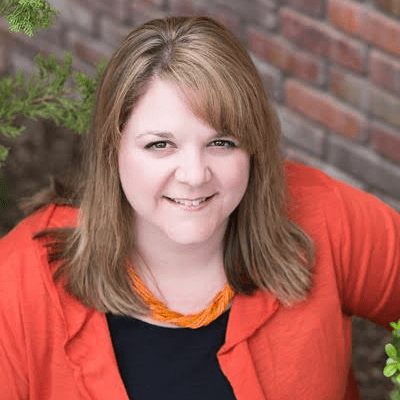 Thank you for sharing my Cold Start yogurt method using the Crock Pot Express. I would love it if you could attribute this method by sharing and linking to the original source of this method, as it took research and testing to ensure which milks could be used. I also am thur one who came up with the name and can help answer many questions about this method. Thanks! Do you have a printable recipe for the hot start version? I don’t, but there’s one in the recipe booklet that comes with the CPE. Do you have that still? Why doesn’t one use regular milk for the Cokd Start method? Why does it have to be uktra-pastuerized? Ultra pasteurized milk results in a thicker yogurt and eliminates any danger of unhealthy bacteria. Can you add anything to the yogurt before you start the process like fruit? Is your nutrition information based on using whole milk? I want to use the ultra pasteurized 2%. Could 1 percent be used in this recipe? Yes, any kind of milk can be used, but if you are using regular (not ultra-pasteurized) milk, you need to do the boil/hot start method. Cold Start is only for ultra filtered milk.